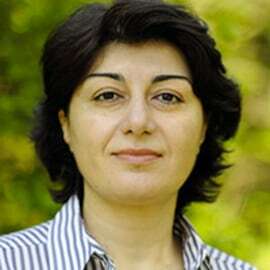 Dr. Nana Bit-Avragim is a medical sciences expert, intrapreneur and digital health strategist. Nana is passionate about new life sciences technologies and believes that innovation means adapting to the future. Building novel digital strategies, Nana is currently leading business development and partnerships at Medicinisto (http://www.medicinisto.com/), an international business network for medical experts and healthcare industry. To translate the latest global technological developments into life sciences and align it with the healthcare industry, Nana has successfully developed and executed a broad scope of innovative programs and partnerships between SMEs, NGOs and academia in her previous roles as Director of Entrepreneurship and Innovation at Charité Foundation and Head of Digital Health & Life Sciences program at the German hub of Singularity University (http://www.singularityuberlin.com/), an executive education organization based on NASA Research Park in Silicon Valley. Nana enjoys communicating across borders and cultures. Besides being a social media nerd who loves tweeting about digital health, medical innovations and open science, Nana enjoys performing Art & Science projects with her friends, including renowned jazz musicians from the US and Canada.